Press 53 Carolina Classics Editions, 9780981628097, 296pp. 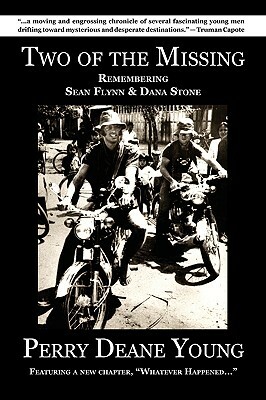 On April 6, 1970, Vietnam War photojournalists Sean Flynn (son of Errol Flynn) and Dana Stone set off on two rented motorcycles to cover one last story and were captured by Communist forces, never to be seen or heard from again. Their friend and fellow journalist, Perry Deane Young, tells their story here in a remarkable memoir first published in 1975. This new Press 53 Classics edition features photos by Flynn, Stone, their friends Tim Page, Nik Wheeler, and others, including a new chapter with updates on the lives of those involved and the ongoing search for two of the missing.